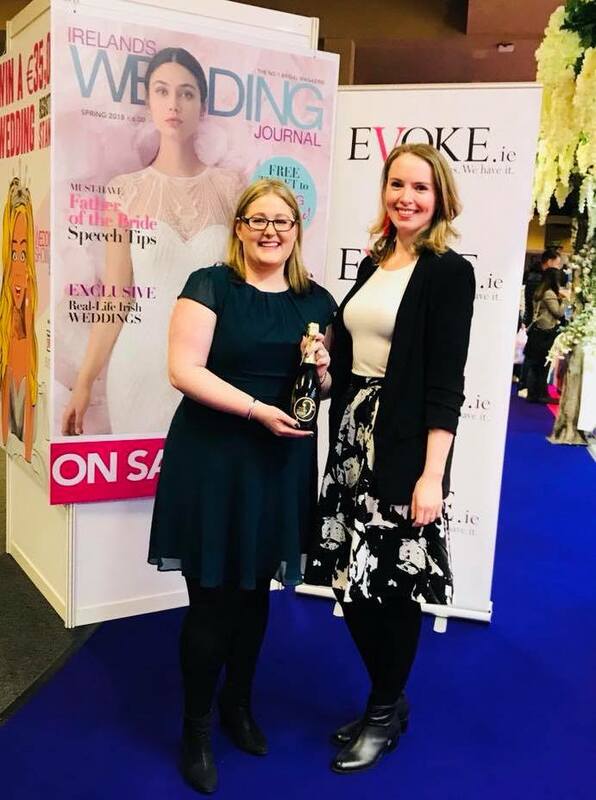 The Wedding Journal Show took over Citywest Convention Centre in Dublin at the weekend and a fantastic time was had by everyone who came along. 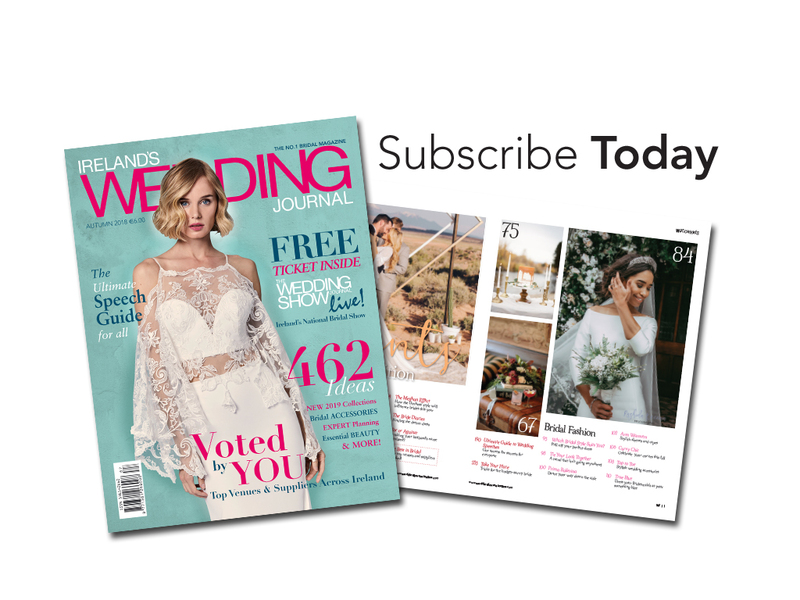 Whether exhibitor or visitor, anyone we spoke to throughout the course of the Wedding Journal Show was having a great time. Our new, improved VIP was there to welcome our VIP guests with special reserved front row seating right in front of the main catwalk stage. 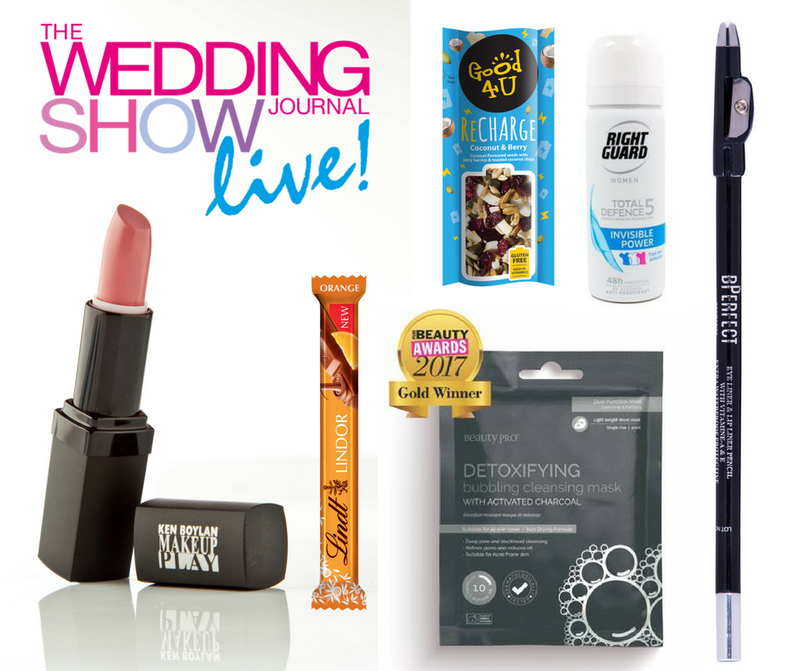 The goodie bags were really well received and everyone indulged in the sweet treats and glasses of Prosecco! 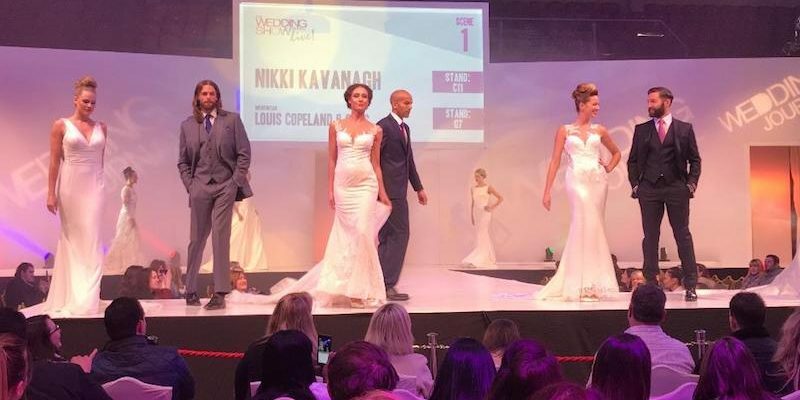 On the main stage the catwalk show ran three times daily at 12pm, 2pm and 4pm – as always the crowd were treated to a thoroughly entertaining display by our dancers as they showcased the latest 2018 wedding dresses, bridesmaids dresses, groomswear and mother-of-the bride occasionwear. 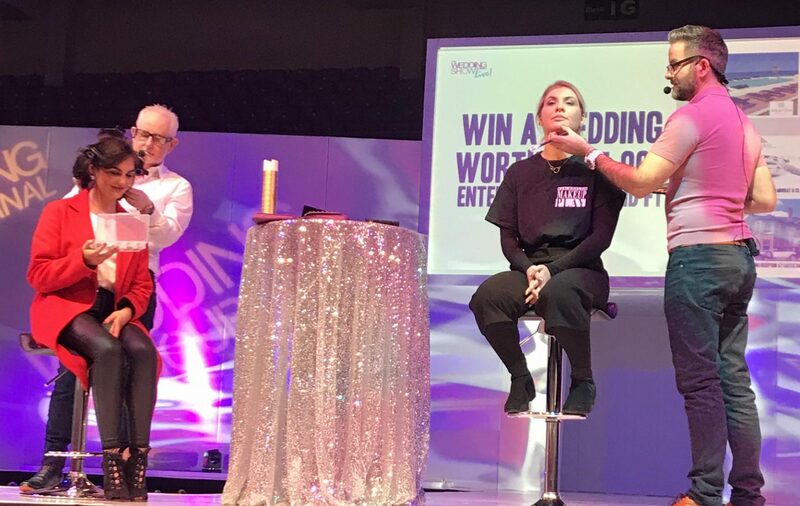 Also on the main stage, award-winning hairdresser Stephen McCusker and celebrity make-up artist Ken Boylan were not only perfecting the looks of our models all weekend but also took to the stage every day to share their expert knowledge on bridal hair and beauty with our audience. Other entertainment on the day included the awesome Hit Machine who captivated the crowd with their drum playing and Irish dancing, singer Maria Fitzgerald and then of course there was the atmospheric Entertainment Stage with a variety of wedding bands playing over the course of the weekend. 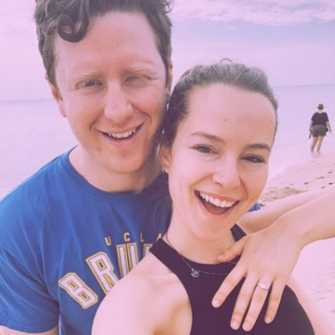 Whatever our couples were looking for to make their dream day come true, they could find it at the show! 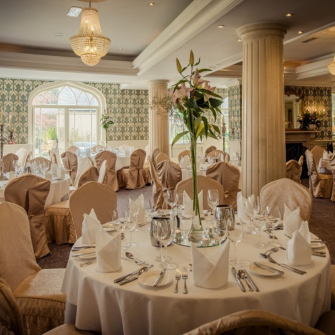 With top Irish wedding venues, to far flung destination wedding ideas, honeymoons, wedding cars, stationery, gift list services, dresses, groomswear, cakes, photographers, videographers, room dressers, selfie mirrors and so much more – everything needed to plan the perfect day was under one roof! 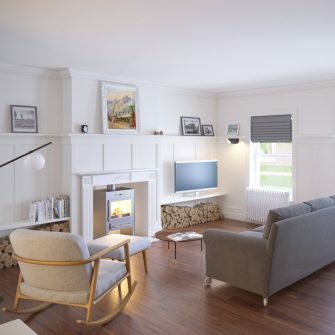 Plus the show offers meant they were able to get some great savings! 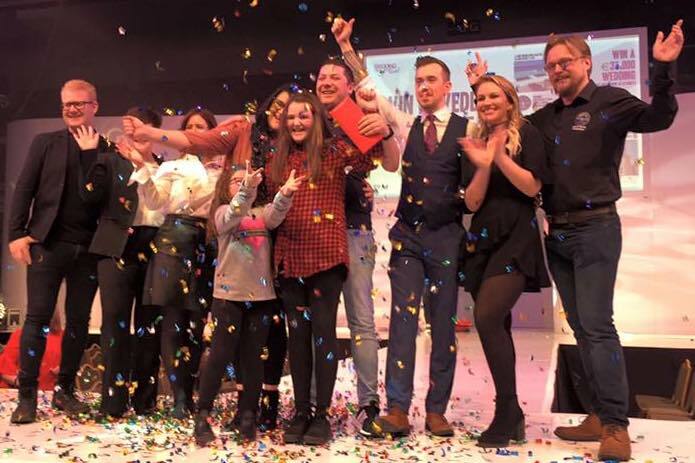 Last, but not least, we had our Win a €35,000 Wedding live final on stage with Big Breakfast presenters Cooper & Luke which saw Anthony and Collette crowned the winners of this once-in-a-lifetime prize! 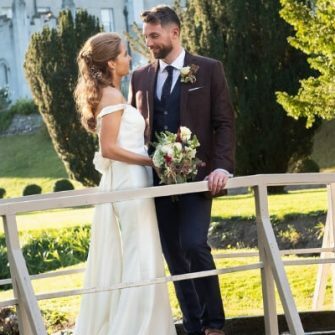 Follow their story with us in the next issue of Ireland’s Wedding Journal! 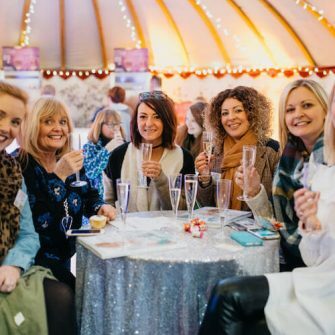 Don’t miss all of the excitement of the Wedding Journal Show when we do it all over again on 3rd and 4th February in the Titanic Exhibition Centre in Belfast. Get your tickets here!